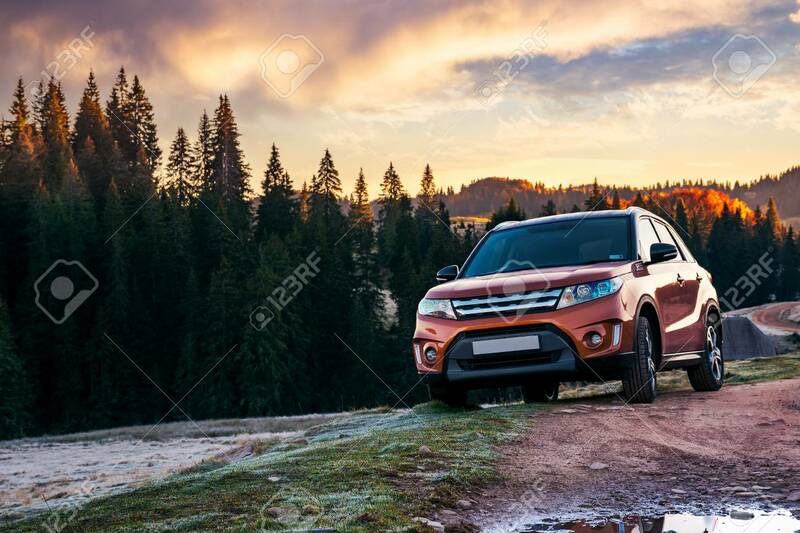 Orange 4wd Suv Parked In Mountain At Sunrise. Beautiful Autumn.. Stock Photo, Picture And Royalty Free Image. Image 108411214.